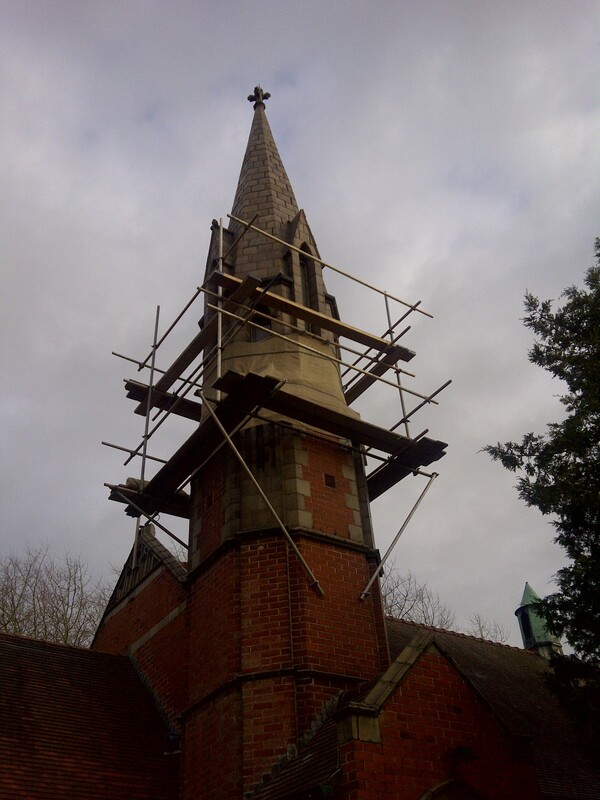 High Level Maintenance Ltd’s qualified workforce have years of experience in church restoration and conservation of stonework, steeples and towers. Why is Lime Mortar important for Church Restoration work? We recognise the importance of using lime mortar in the restoration of historical structures. Lime mortar offers many advantages over modern cement. It is softer, more porous and flexible, thus allowing the structure to accommodate minor movements over time. It is permeable allowing any moisture and dissolved salts to freely move into the joints where water can readily evaporate and the salts crystallise without causing significant harm. 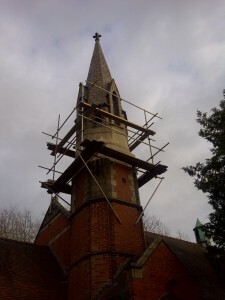 We also regularly use Helifix HeliBars to repair defective masonry or for church restoration purposes. These are fully concealed once installed and their use avoids the need for expensive and disruptive taking down and rebuilding. It also means that there is little disruption to the building’s fabric or occupants. We are able to undertake cost effective rope access surveys, enabling us to provide a full, detailed report of a close-up examination of high level defects. These reports are usually accompanied by full colour photographs or DVD recordings of our findings. We are also more than happy to attend any Fabric Committee meetings and provide a full presentation enabling all committee members to fully understand any defects and remedial repairs required. Internal inspection of 60 metre church spire at St. Thomas Church, Huddersfield, West Yorkshire. Repairs to masonry and repointing, in lime mortar, at Thornton Methodist Church, near Blackpool, Lancashire. Replacement of masonry finials at St. Thomas Church, Lydiate, Liverpool, Merseyside. Repairs to masonry and repointing in lime mortar, of pinnacles at St. Silas Church, Blackburn, Lancashire. Repointing in lime mortar, using rope access at St. Silas Church, Blackburn. Major repointing work and new lightning protection system at St. Peters Church, Onchan, Isle of Man. Repairs to weather vane and masonry stabilisation at St. Cuthberts Church, Halsall, Merseyside. Major restoration to masonry and louvres at Penwortham Methodist Church, Preston, Lancashire.